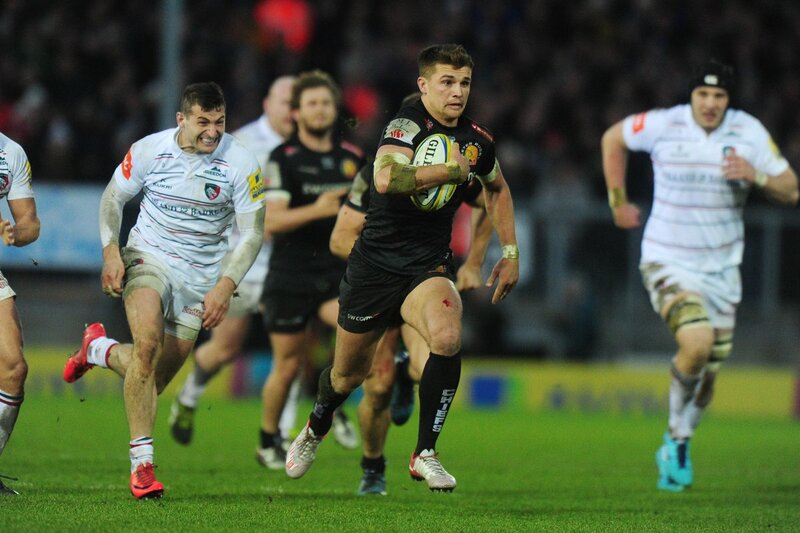 Henry Slade hits the right post with the conversion, failing to add the two points. 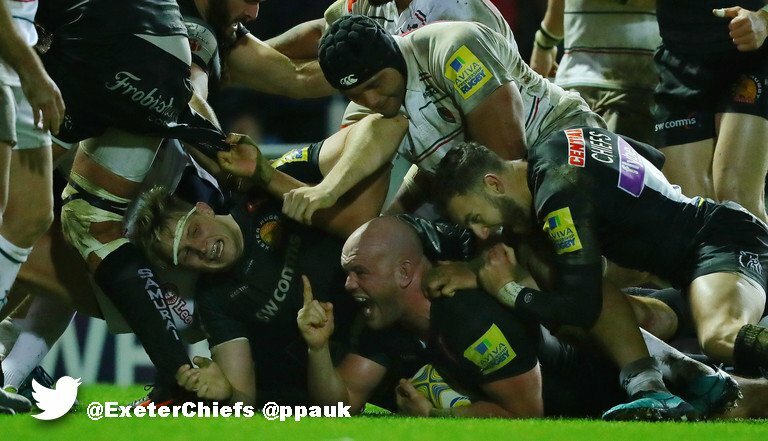 The Exeter pack has powered over for Jack Yeandle to score the try. Exeter sub James Short comes onto the field. 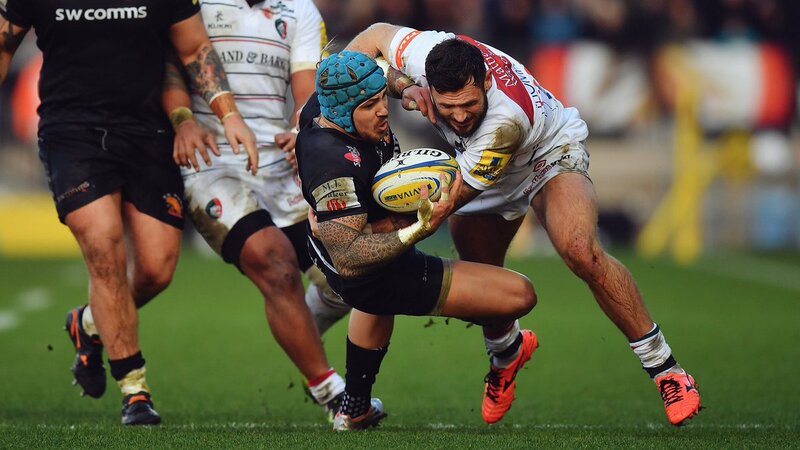 Jack Nowell departs for Exeter. Joe Ford comes on for Leicester. Manu Tuilagi leaves the field. Henry Slade has hooked the conversion to the left of the posts. The defensive line has been broken as Jonny Hill goes through the gap. 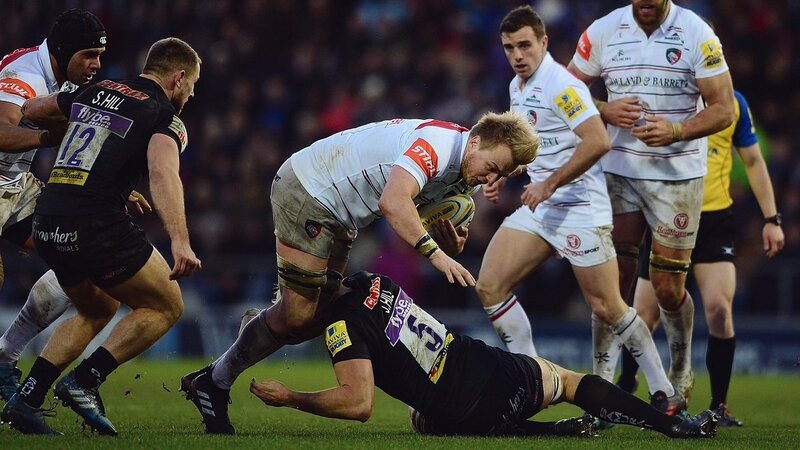 Great hands by Exeter leads to a try for Jonny Hill. 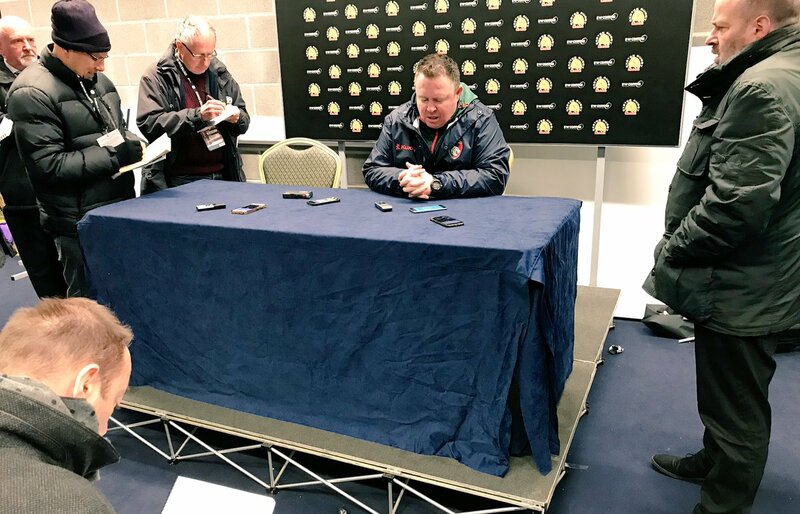 Leicester decide to make a substitution, with Ben Youngs being replaced. 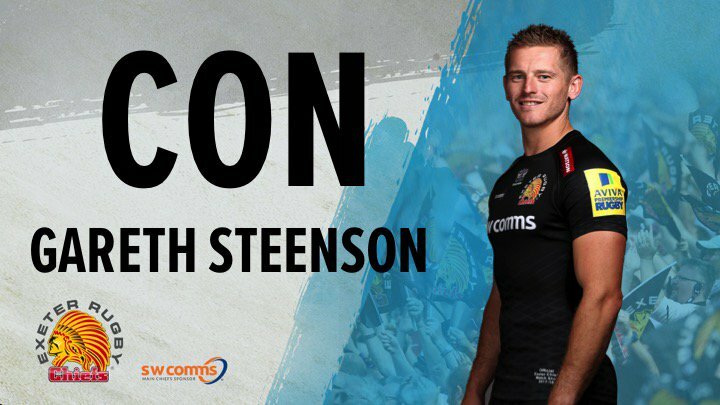 Exeter make a substitution with Gareth Steenson coming off. Leicester sub Tatafu Polota-Nau comes onto the field. Tom Youngs departs for Leicester. Sam Hill has made 10 good tackles so far this game. Carl Rimmer comes on for Exeter. Alec Hepburn leaves the field. 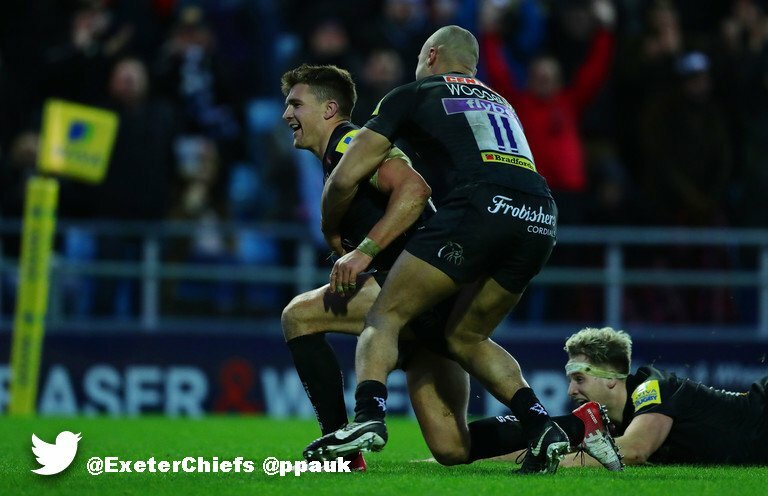 Henry Slade intercepts the pass to race ahead and score the try for Exeter. 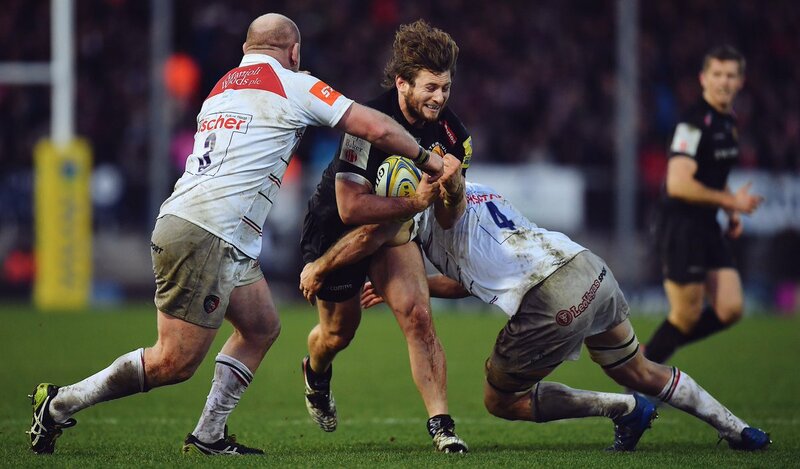 Exeter decide to make a substitution, with Sam Simmonds getting some game time. 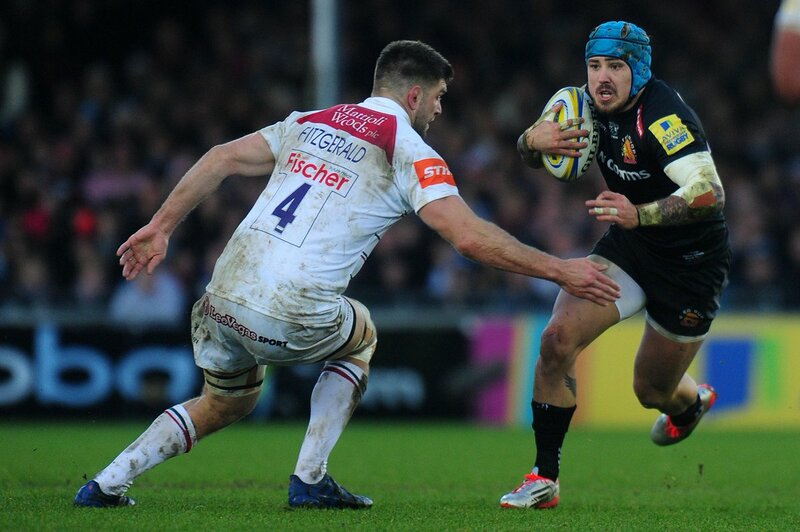 Exeter make a substitution with Thomas Waldrom coming off. Exeter sub Nic White comes onto the field. 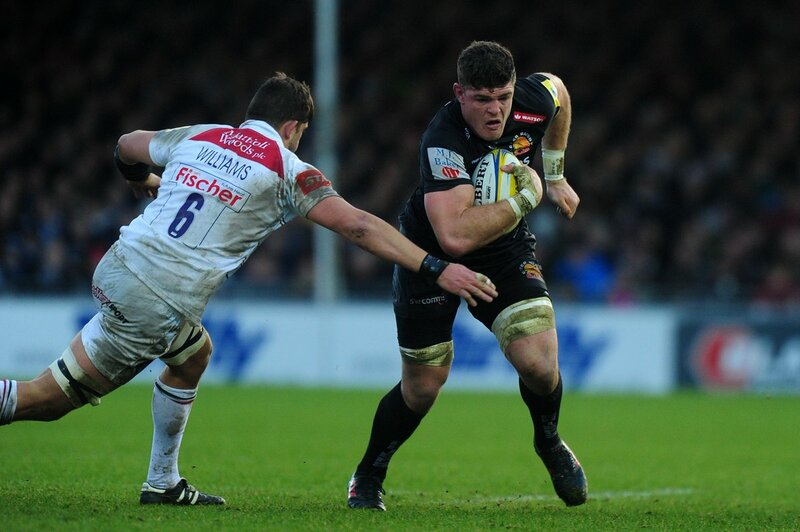 Will Chudley departs for Exeter. Tom Youngs comes on for Leicester. Tatafu Polota-Nau leaves the field. Exeter are only a few metres out, surely they must score! And they do with Don Armand touching down. 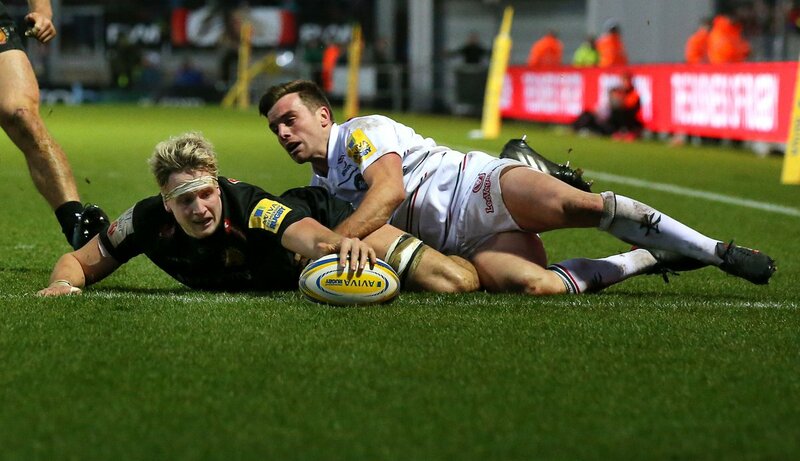 Fabulous play by Exeter has led to Will Chudley being able to wriggle through a gap. Gareth Steenson makes no mistake with that penalty goal attempt. 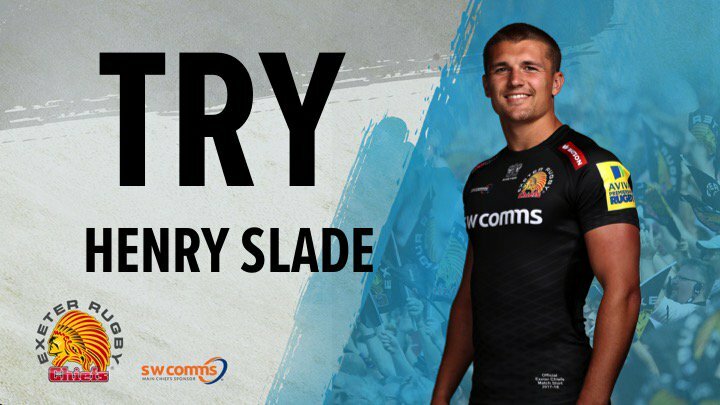 Henry Slade has kicked a penalty goal. The defensive line has been broken as Matt Toomua goes through the gap. @TheStroBro @EaglesOverseas @rugbynation_USA Chris was used from the bench tonight, replacing Dan Cole in the 74th minute at tighthead prop. 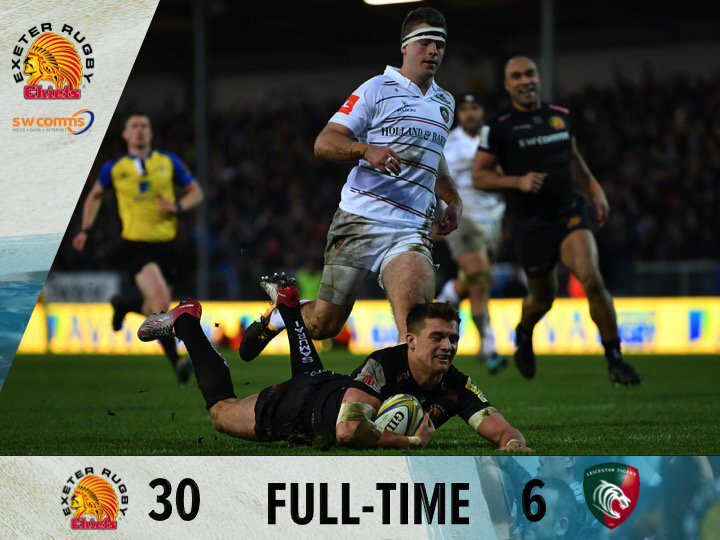 RT @LeicesterTigers: Tough day. Tough contest.
. @Steve_Parrett signing off and wishing everyone who follows us a Happy New Year. Let's do similar in 2018! RT @jimhamilton4: For me @don_armand wins the @RugbyPass player of the week tea towel award. Just had a message from Mrs Tweeter "Those pesky Chiefs - they've forced me to open a bottle of fizz"! 80’ ….and they do maul their way over the line, with Jack Yeandle the try-scorer. 80 Chiefs lineout goes well, Tigers penalised again. 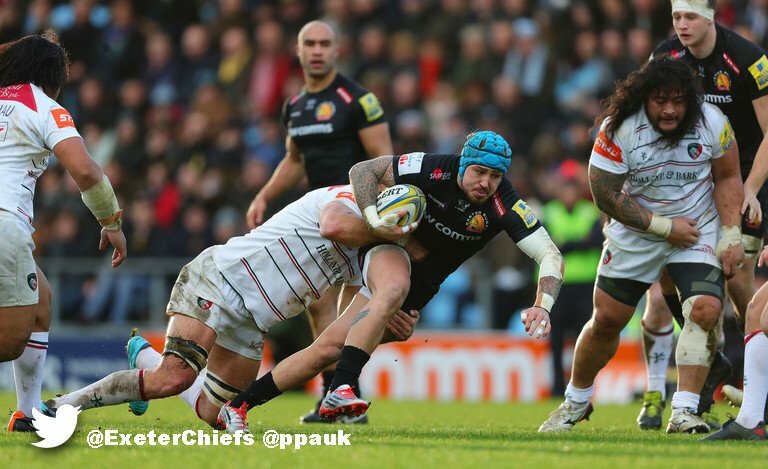 Chiefs now 6m from Leicester line. 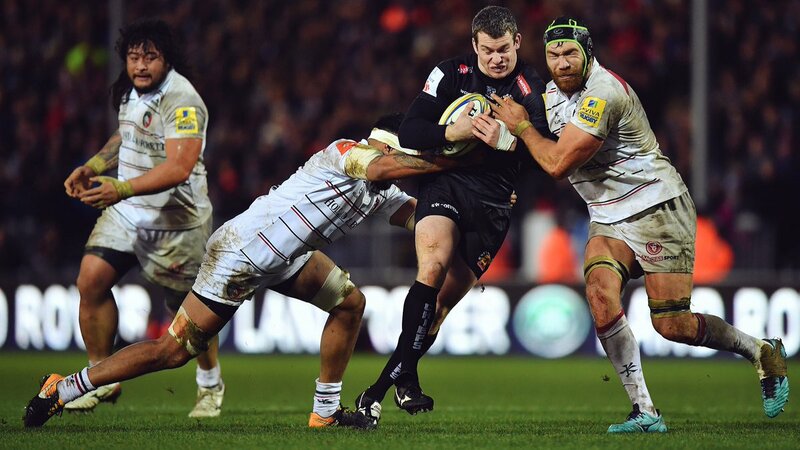 79’ Second penalty in as many minutes hands Exeter a chance to maul from 5m out. The full bench used by MOC today as Joe Ford enters the game at fullback, replacing Manu, with Taity shifting to centre. 74’ Ball is ruled to be a forward pass and so it will be an Exeter scrum inside their own 22. 74’ Valentino looks to use those long arms to offload for support but, it’s in touch instead. 62’ More battle of the boots, with and against the wind, in an attempt to gain territory here in tough conditions. 61’ 🔀 Two more changes made by MOC. ⤵️ Harry Wells / Valentino Mapapalangi.